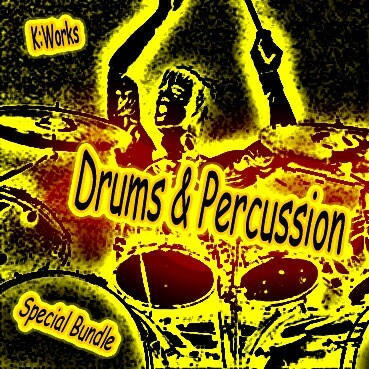 The K:Works - Drums & Percussion - Special Bundle includes our K:Works - Drums & Percussion - Volume 1 and K:Works - Drums & Percussion - Volume 2 sound program collections for an exclusive discounted price (Worth 119,90 € / Save 20,90 €). Acoustic, electronic and experimental drums & percussion - drum kits and single drum programs for a wide variety of music styles, ranging from Jazz, Rock and Ethno to Hip-Hop and underground electronic music. These programs were created to take advantage of the special controller settings for internal DSP modulations (e.g. filter, pitch, shaper, distortion, etc.). In addition to this, all Kurzweil K2xxx ROM and FARM "Drums & Percussion" sound programs, newly sorted and well organized by Art of Sound to achieve easier access and use, have been added free of charge as a bonus.